Shills, Anosa, Dot Dot is giving away a set of My Love Story Mask to ONE lucky winner (which can be collected at the allocated redemption shop). It’s pretty simple to join, and this contest ends on 12 September 2014. Like SHILLS, ANOSA, DOT DOT Facebook Fan page. Tag 5 of your friends, then share this photo with the comment “I want My Love Story Mask from SHILLS, ANOSA, DOT DOT“. You will have to tag them, and make sure you have it set to public mode (or they won’t be able to check it). Last but not least, you have to fill in an entry form here. The result will be announced on 13 September 2014. Wait! 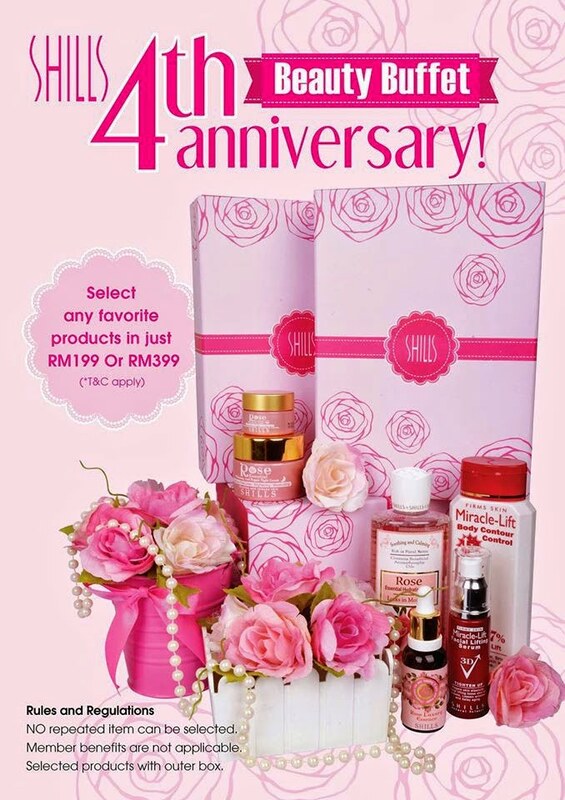 Shills Malaysia is also having Beauty Buffet in conjunction with its 4th Anniversary! More details here.